The Fumo Pipe Domeless Nail is made to be used with the popular Fumo Pipe and is indestructible. Machined from Grade 2 titanium, it features thick threads on its base to prevent stripping. 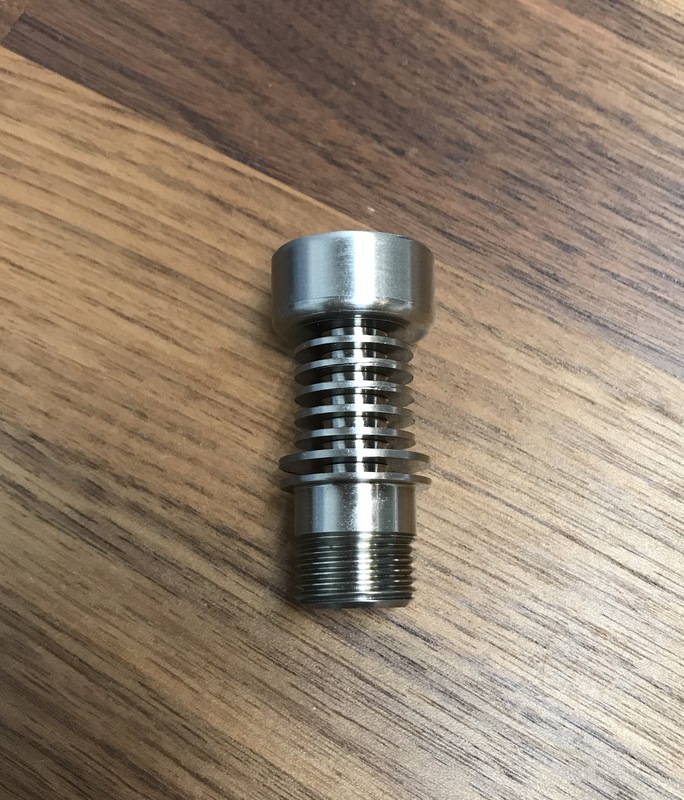 The Domeless nail also features a 20mm height designed to make on-the-go heating oils (dabbing) easier and more convenient. This Domeless Nail is an exact fit for the Fumo Pipe. Simply unscrew the stock or upgraded Fumo bowl from the body of the pipe and screw in the Domeless Nail and your upgraded pipe is ready to go! 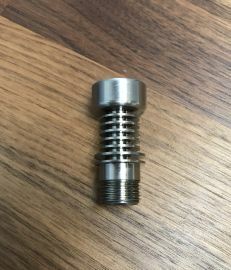 Installing the Domeless nail to your Fumo Pipe is as easy as unscrewing the original bowl and replacing it with the nail. The nail is then heated to the desired temperature for burning oils. Once heated, user dabs oil around the rim of the nail. The resulting smoke is drawn down the nail where it passes through the pipe’s filter and enters the first bowl chamber. The smoke is further filtered and cooled as it leaves the first chamber and enters the tube. The final stage of the process involves Fumo’s innovative spring-loaded push carb system. This allows the user to perfectly open the carb at the push of a button which combines smoke with cool, fresh air for the perfect temperature and consistency.